*The paiting area is written in the package, refer it. Details are here. -How to print is here. 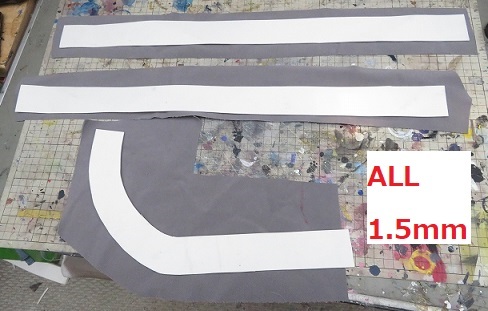 -After printing, it becomes easy to use by sticking it on Drawing paper with spray glue. -Mentions of "x1","x2" etc are the numbers of sheets. 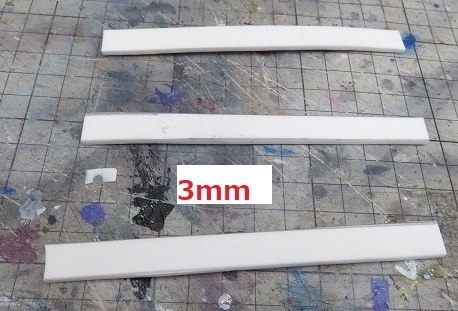 -Mentions of "2mm" , "5mm" etc are thickness of EVA foam. -When you uses a thing including the thinner(Bond, lacquer thinner etc) or spray, make good ventilation. And wear a gas mask. -When you toast mterials etc, make good ventilation. And don't breathe smoke, don't put smoke in your eyes. -When you dig mterials etc with Soldering iron, make good ventilation. And don't breathe in smoke, don't put smoke in your eyes. 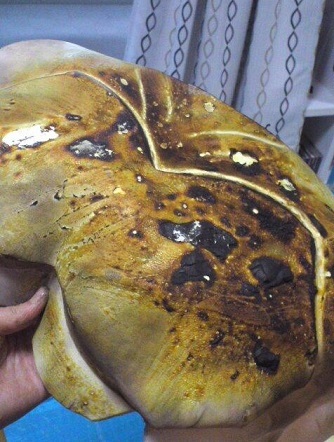 -Don't use fire near the things which are easy to burn such as paint, thinner etc. -When you finished using tools, pull an outlet. -Read labels of materials and tools, and understand how to use. When you watch this video before reading this page, you can understand this page better. 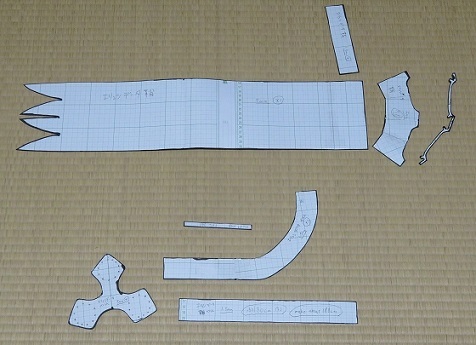 Make Templates from "Kousakuyousi"(one of hard paper in Japan). 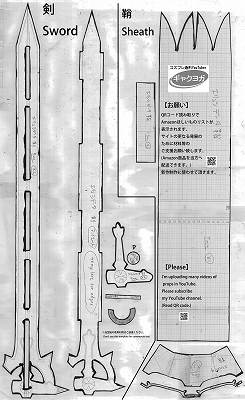 Cut material into the Templates form. 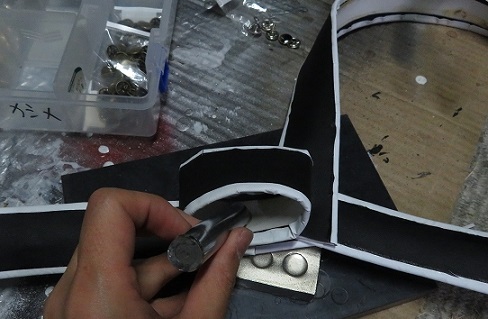 Cut out 5mm thick EVA foam. 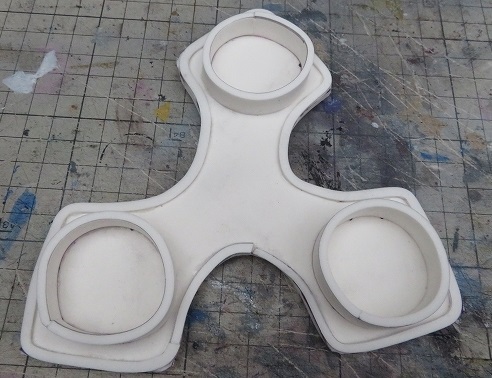 EVA foam is a soft material. 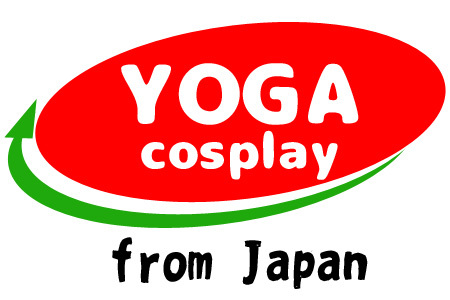 You can process it easily. 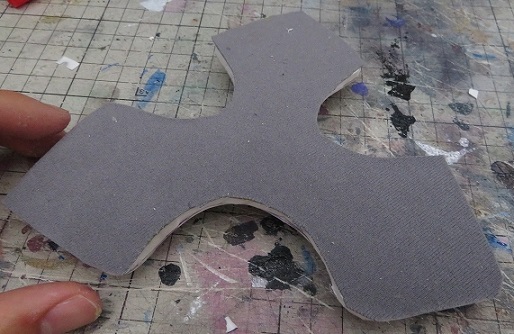 Another name is EVA board, EVA zote, Craft foam etc. I usually use one called "Lion board". 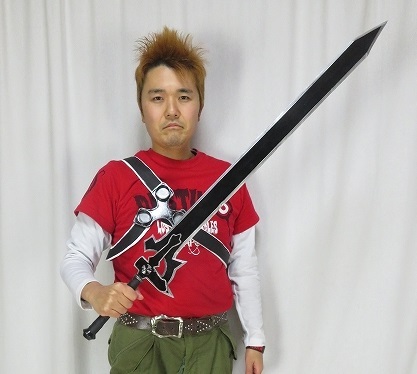 "Lion board" is sold only in Japan. Use a sharp blade. 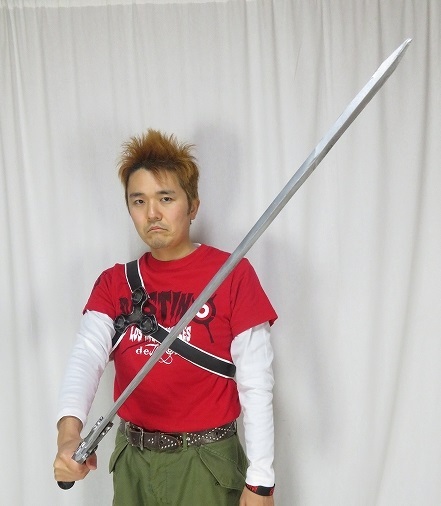 For example, "Pro Blade". 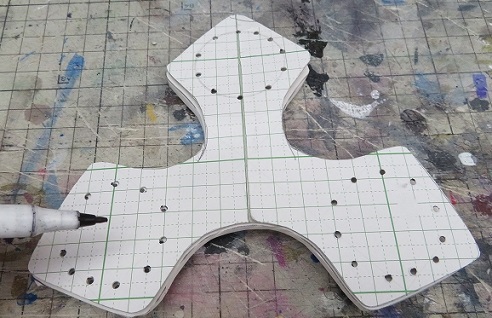 When you cut, put EVA foam on Cutting mat. Don't cut in the air, while holding by hand. 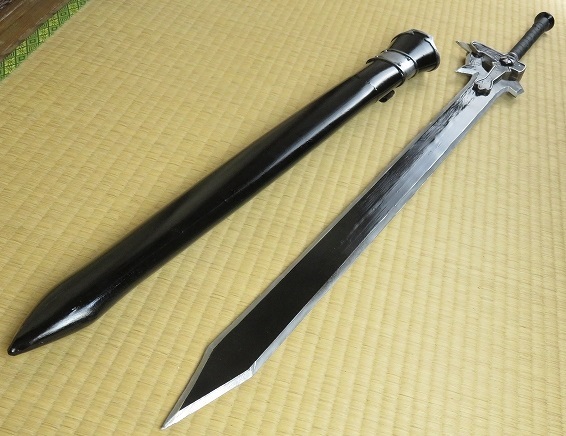 Break a b blade frequentry, if you feel sharpness of using blade became bad. 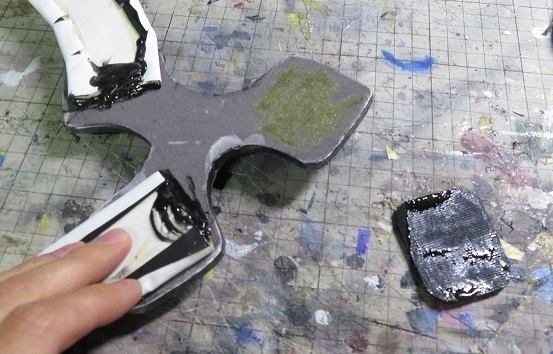 If you want to do work more speedy, use "Running fire box cutter","Blade breaker". 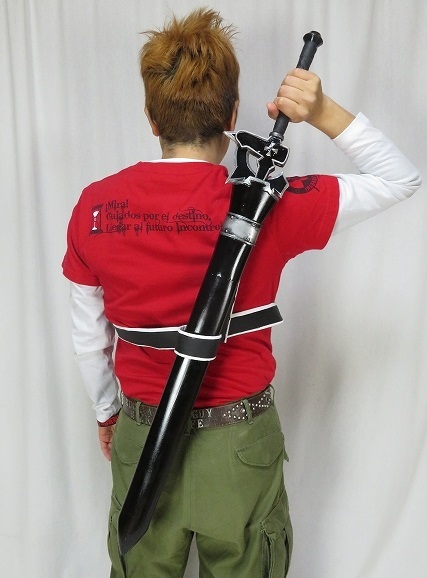 "Running fire box cutter" can have 6 pieces blade inside. 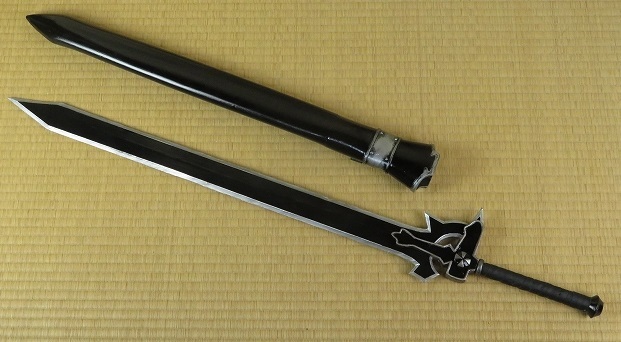 "Blade breaker" can break easy and speedy. Use Art knife PRO for small ornaments etc. 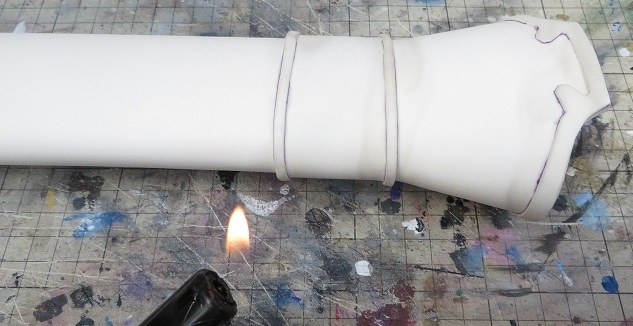 Bend by heating with a Gas toach or a Lighter or a Heat gun. Glue with a Liquid super glue. 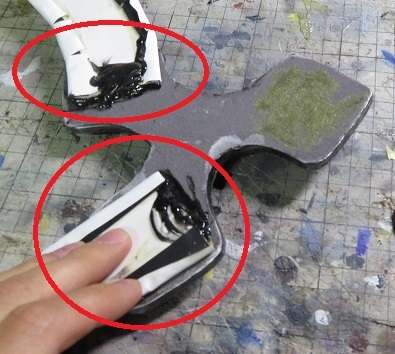 When you use a Super glue Accelerator, Hardening speed becomes fast. 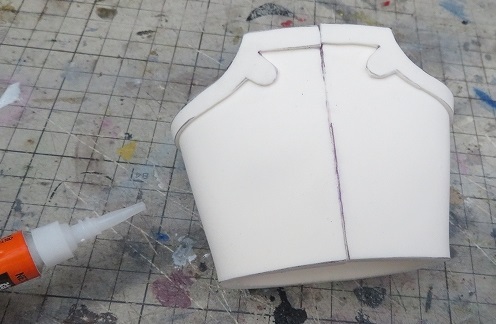 Super glue can glue a large surfaces easily. Then you should use a following spray. 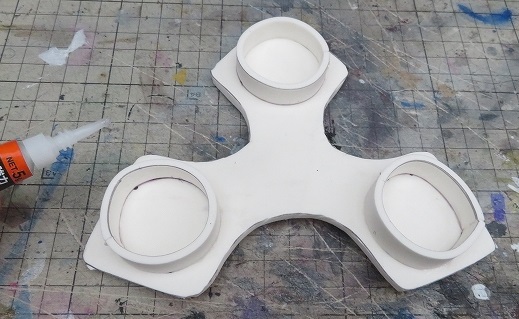 This can glue surfaces in several seconds. 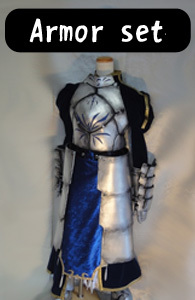 When you use 100ml, you can make a armorset or about three weapons. I use general liquid super glue. 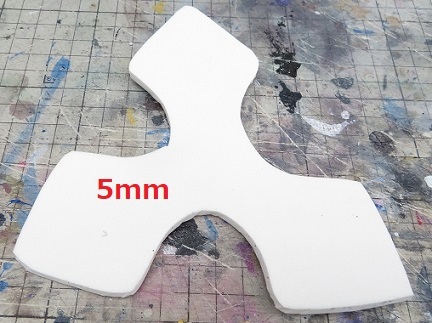 Cut out 2mm or 1.5mm thick EVA foam. 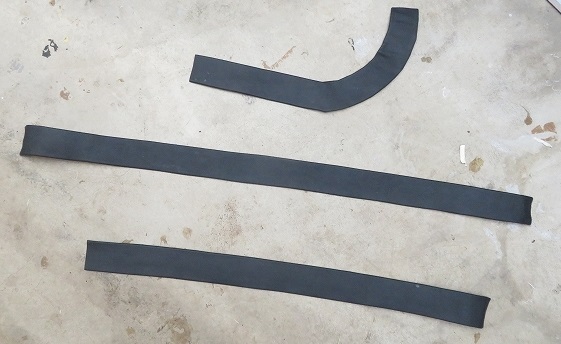 Cut 2mm or 1.5mm thick EVA foam thin. 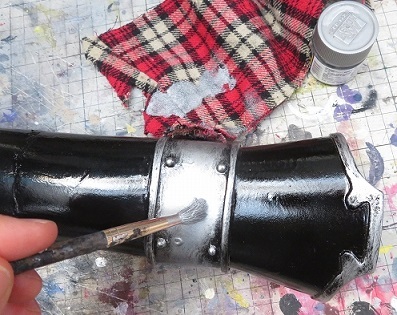 Make rivets with a Hot melt(glue gun). 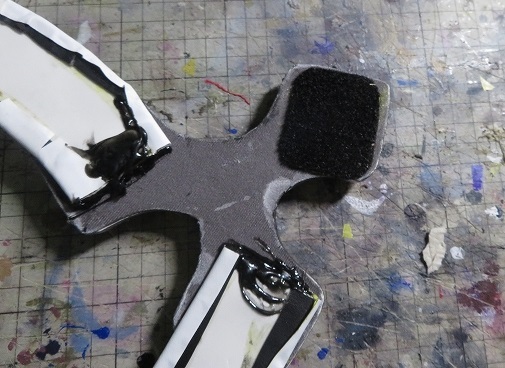 Glue Velcro with a Hot melt(glue gun). 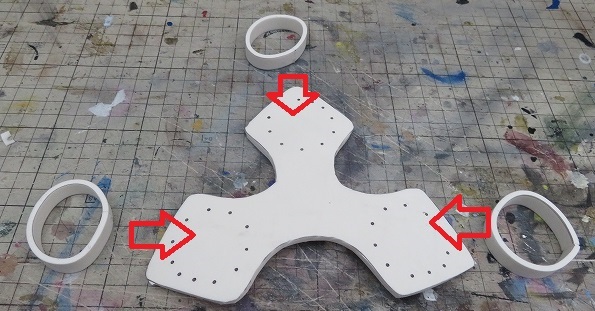 Make holes on the Templates. Mark them with a pen. 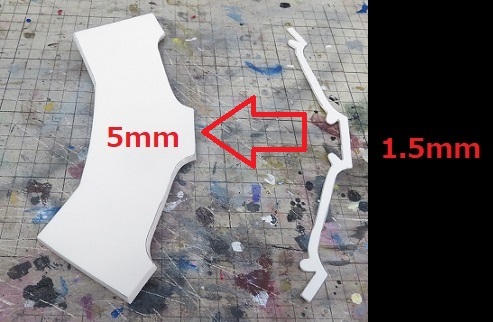 Cut out 3mm thick EVA foam. 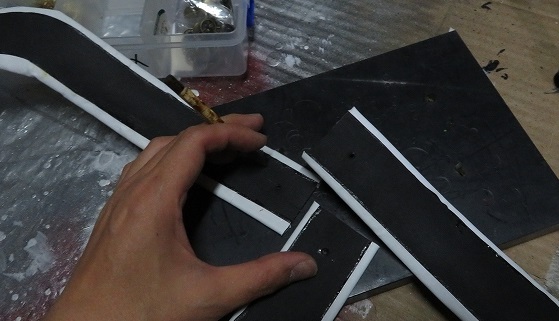 Glue Synthetic leather on the backside with a "Bond G17"(one of liqud glue in Japan) for reinforcement. Detailed process is here. Don't use fire until drying, because "Bond G17" burns easily. 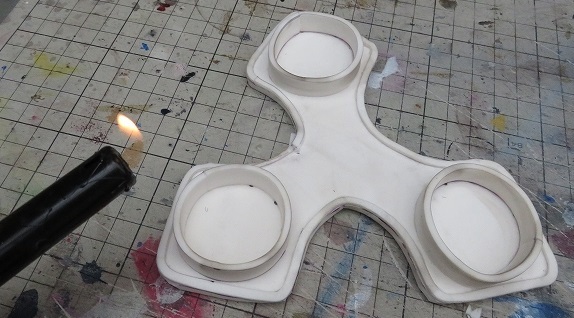 Don' use a Lighter etc until drying. 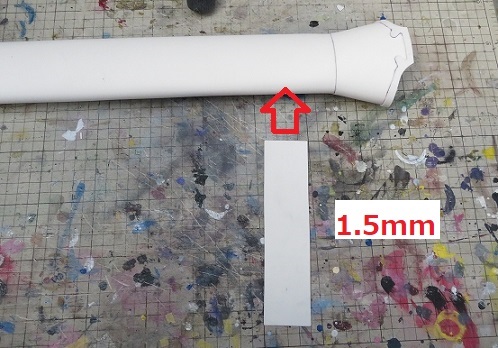 Stick Masking tape on the point you don't want to paint. 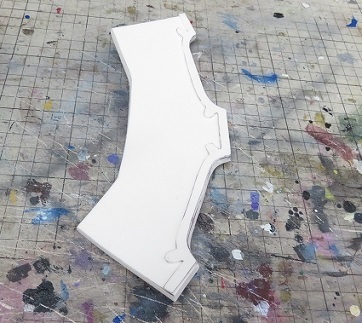 At first, paint a undercoat on EVA foam. The effects are as follows. -It becomes hard to come off. -You can save quantity of the paint. 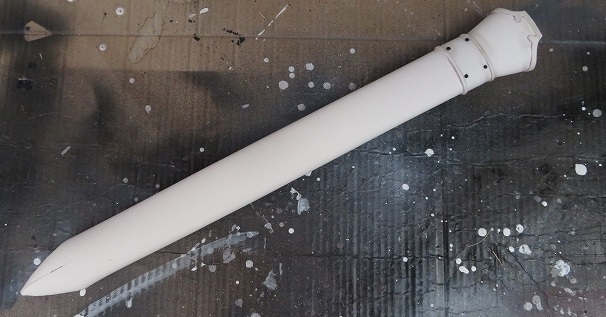 -It's usable just to paint with a paint brush. 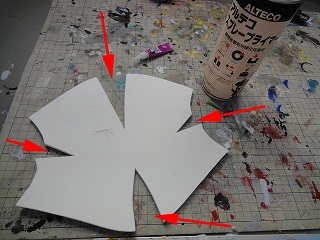 -Gesso don't contain thinner, then you can use it in the room. 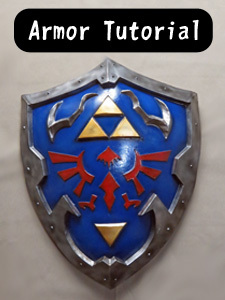 -You can use also Acrylic paint. -There are several colors one, white black etc. 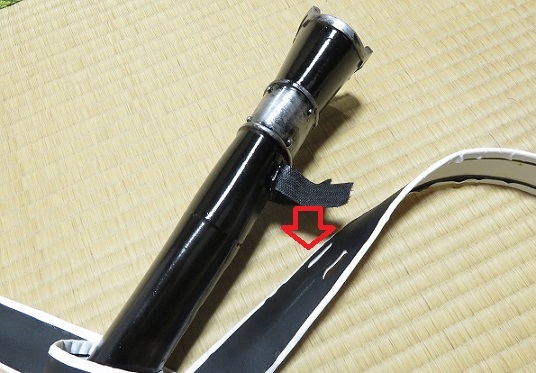 -It's easy to come off than Thinned "Bond G17"(one of liqud glue in Japan). 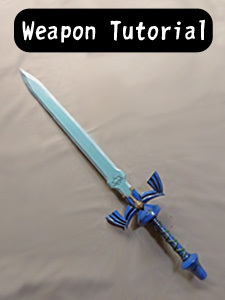 Then, use this for weapons and armors without moving parts. 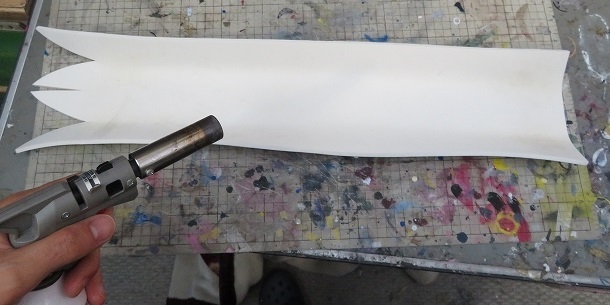 -The gross is smaller than Thinned "Bond G17"(one of liqud glue in Japan). This is difficult, however it's almighty. -It'st hard to peel off. 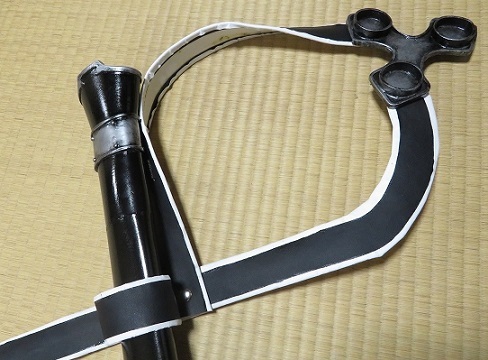 -It can use for PVC pipe or plastic sheets. -"Bond G17" is japanese commodity. Then you can't get it easily. Please use others. For example, you can substitute wood glue for it. -You must thin it with lacquer thinner. 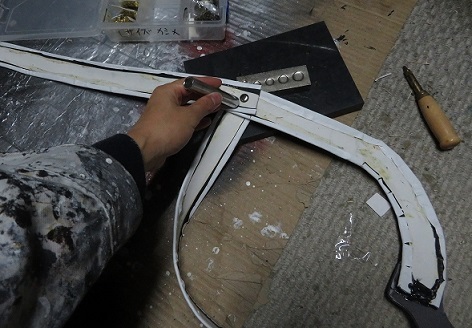 -It needs thinner, then you must work outdoors. The parts will be charred in seconds. 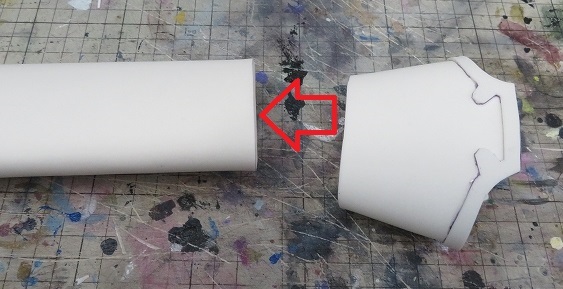 You can use acrylic paint, when you use Gesso. 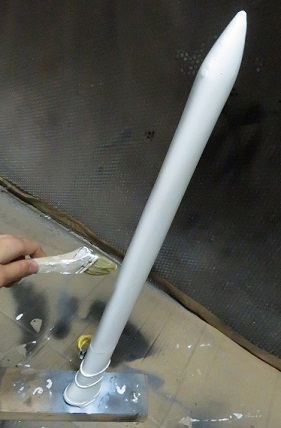 I use "Zoukei be-su" as undercoat this time. 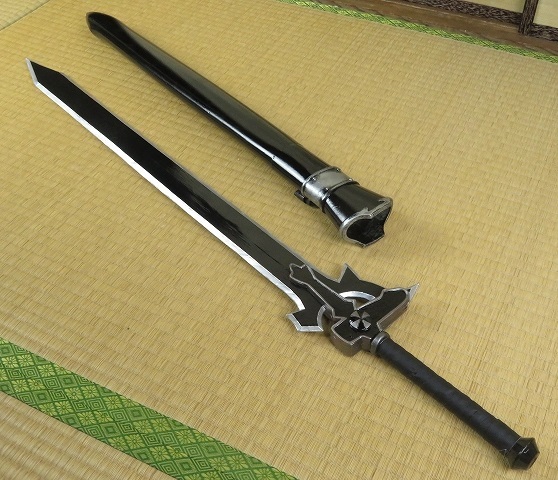 However it's sold only in Japan. 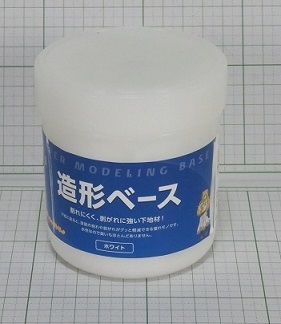 Use Gesso or Thinned "Bond G17"(one of liqud glue in Japan) in substitution for "Zoukei be-su". 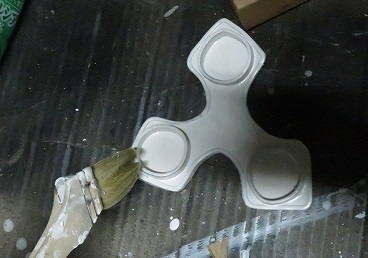 Paint "Zoukei be-su" twice with a brush. Dry it about 2 ~ 6 hours. 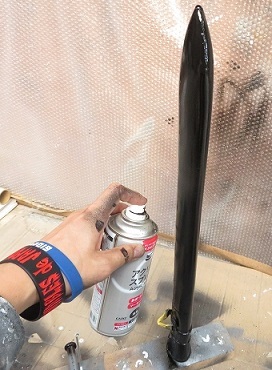 Paint black with Lacquer Spray. Paint silver Bottle lacquer paint by Drybrush painting. 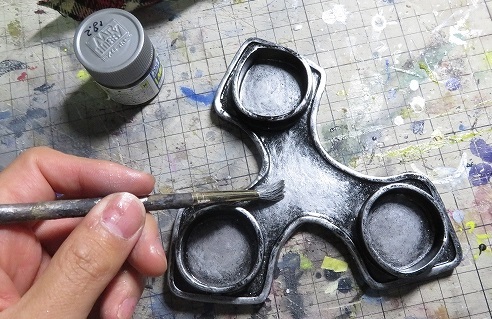 Drybrush painting is easy, you can do it with a paint brush. Read here or watch this video. 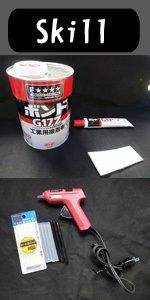 Glue Synthetic leather with "Bond G17"(one of liqud glue in Japan). Details are here. 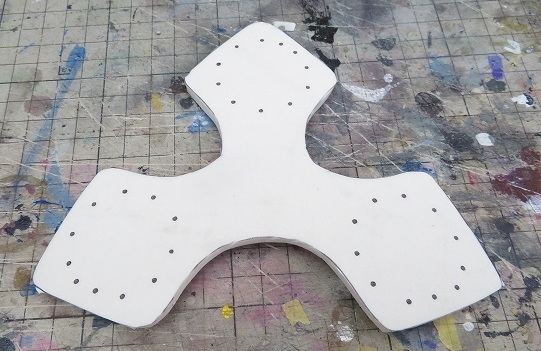 Cut out white Synthetic leather. Glue with a Hot melt(glue gun). Make hole with a Punch. Attach Rivet with a striking stick. Details are here. 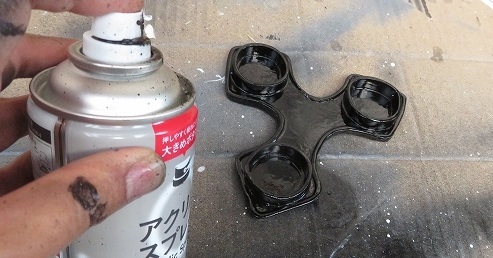 Glue Velcro with "Bond G17"(one of liqud glue in Japan). Detailes are here. 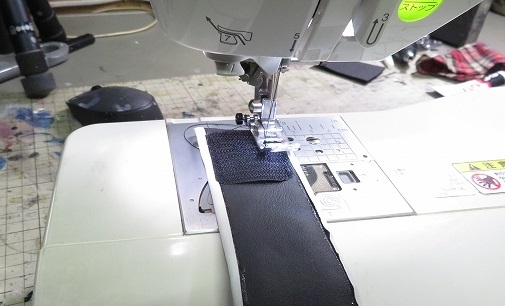 Sew Velcro with a sewing machine. 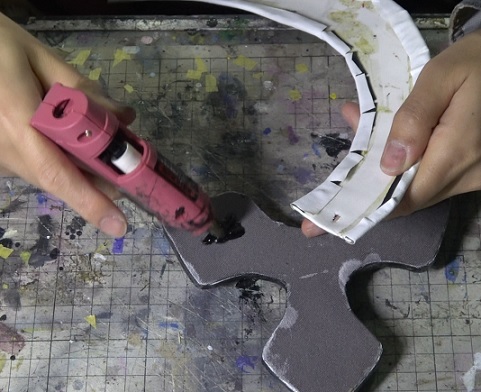 Make a hole with a Box cutter. 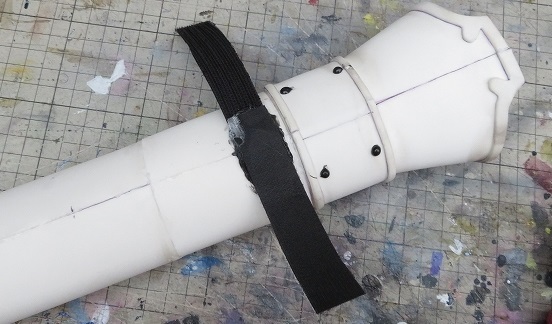 Attach the sheath with Velcro. Please watch them and please subscribe my YouTube channel.